Thanks for stopping to take a peek and I hope you find something of interest here. 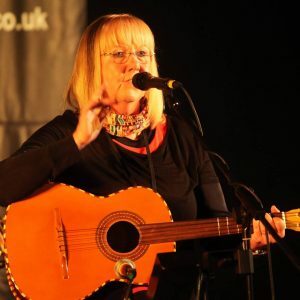 Welsh born singer and writer of songs which live happily on folk stages, Linda now dwells amongst the green fields of England where she continues to enjoy sharing her music with audiences far and wide – not ever forsaking her Welsh roots and traditions of course! Feel free to browse around – If you have comments or questions about anything here or simply need more information, please use the contact form to send us a message. 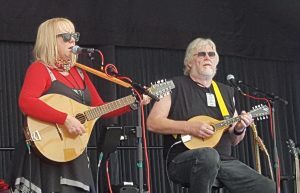 Linda’s performances range from solo to band combination and always involve a collection of different instruments which lend their individual tones to the atmosphere of her songs. Enjoy exploring the pages here – and don’t forget to check out the calendar page to find out where the next performance may be! Linda and Simon take to the road!